Calling all superheroes! 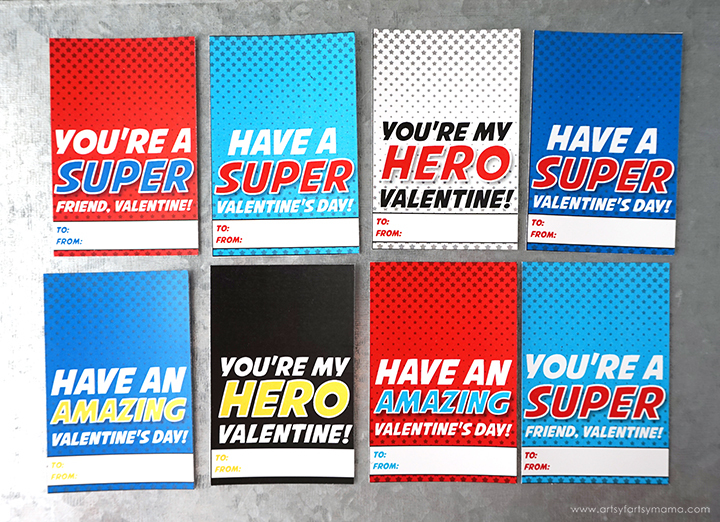 Save the day with these Free Printable Superhero Valentines! Thanks to Oriental Trading for sponsoring this post. As always, all opinions are my own. My family is all about superheroes, especially my husband. He's even got a superhero-themed classroom! He wanted some Valentines to share with his students, so we teamed up with Oriental Trading to put together something FANTASTIC! 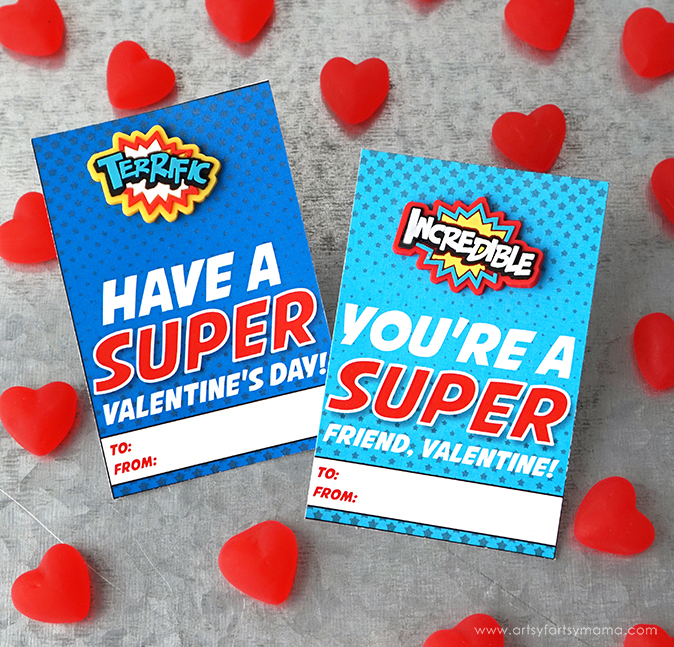 Kids will love giving and receiving these Free Printable Superhero Valentines. Print the Valentine cards on cardstock and cut them out with scissors or a paper cutter. If you punch a hole in the top, you can use these as a gift tag to attach to a larger superhero toy. 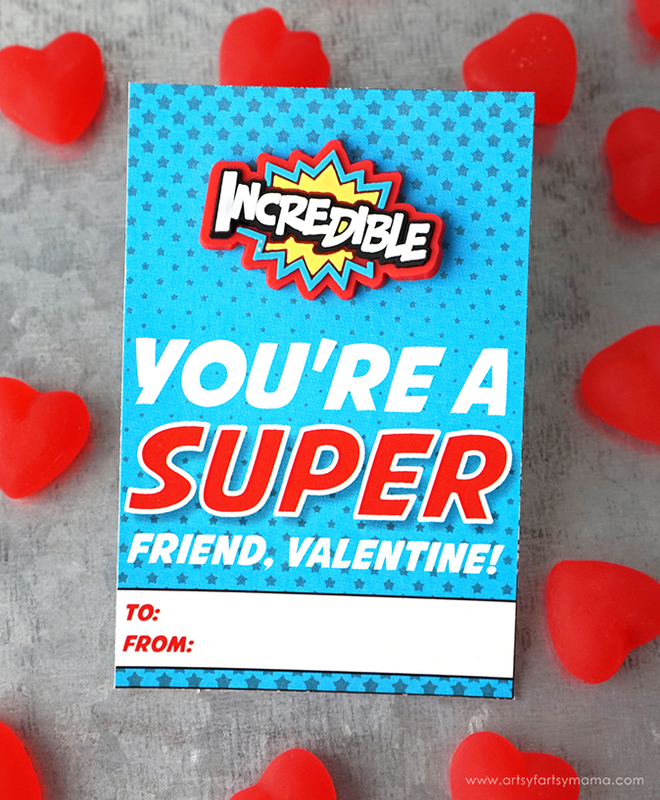 Or you could tie a superhero pencil or superhero eraser to the top of the card. There a lot of fun superhero-themed items out there, but we decided to go with Superhero Rings! 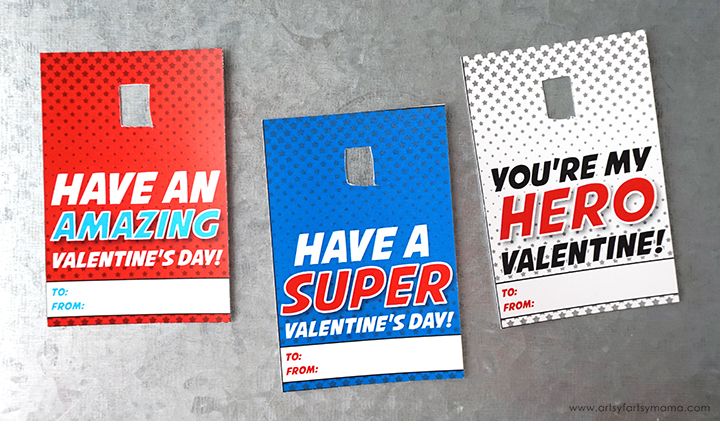 These rubber Superhero Rings will add some ZAP and ZING to your superhero Valentines! The rings come in red, yellow, blue and white with encouraging words in comic book format. 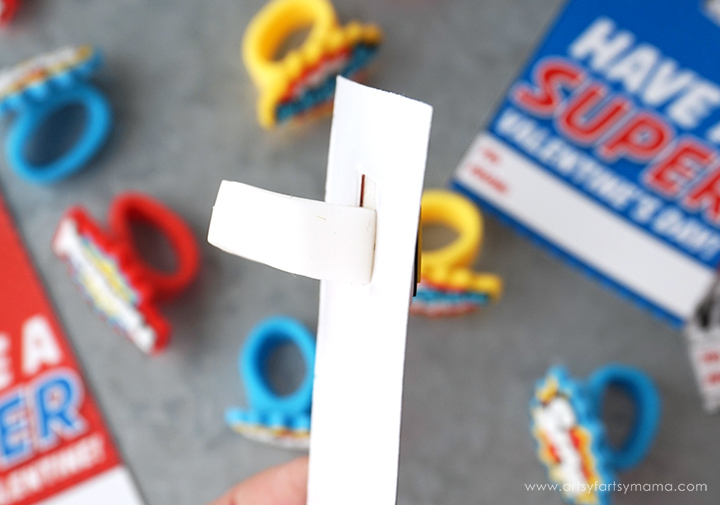 To attach the rings to the Valentines, you'll need to use a craft blade to cut a 3/8" x 1/2" rectangle in the top section of the card. The rectangle doesn't have to be perfect, just close to the right size. Fold the sides of the ring together and push it through the hole in the card. The back of the ring should be flat against the front of the card. Once you let go of the ring loop, the ring will stay in place. If you want it to be more secure, you can add a piece of tape through the ring on the back of the card. Fill out the to/from section and the Valentines are ready to be handed out! There 8 Valentines on the printable and you are welcome to use these at home and in the classroom. For best results, print the Valentines on cardstock. *Artsy-Fartsy Mama printables are for PERSONAL USE ONLY (home, school, libraries, etc). *If you'd like to share this project, you may use ONE photo and credit must be given to Artsy-Fartsy Mama and linked back to this post.